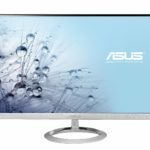 This is the ultimate review of the ASUS PB278Q monitor which is a Professional 27-inch 16:9 2560 x 1440 WQHD LED-backlit Monitor currently running for less than $400 on Amazon and other outlets. This multi-purpose monitor is a perfect addition or new purchase for gamers. If you are a professional FPS gamer then this could definitely be the monitor for you and your lifestyle. The HD quality also makes it great for media professionals or those who love movie theater-like viewing for movies, anime or other videos and photos. Plus it has two 3-watt speakers so the audio playback is always great. The screen is extensive and it suits everyone. 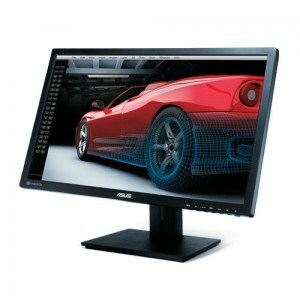 It’s also noteworthy to mention that the display can also be purchased in a 32-inch version, the ASUS PB328Q. In addition to these features, the ASUS monitor is very user-centric so it is simple to use and adjust according to your preferences. The adjustable design means you can tilt it, swivel it, and change its height very easily whenever needed or for whatever viewing angle. This ASUS has 109PPI density in combination with LED backlighting, so the pixels don’t require more lighting to achieve quality visuals because the energy-saving LED backlighting will assure quality visuals. There is also a 5ms response time so you can have lag-free experiences in gaming and use this display as a gaming monitor. So if you were looking for something for gaming that assures no lag-time and energy efficiency, read on to find out more. If you need quality visuals for movies and media, then read on to find out more. 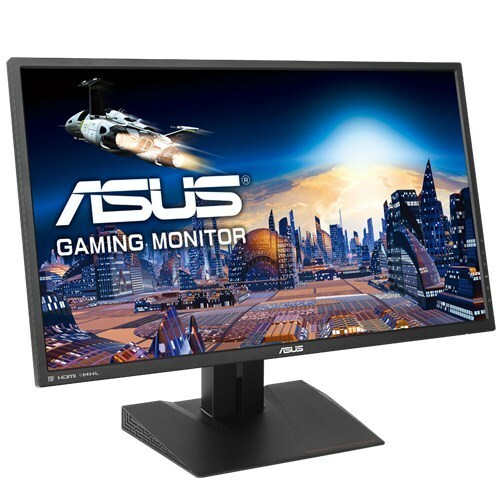 Anyone searching for a monitor with true colors and ease of use when it comes to adjustments and clutter-free work/gaming space, then the ASUS PB278Q is a good option. The main reason why this product comes recommended is because of the high resolution. Every reader searching for a new monitor should put high definition as the top of the priority list. 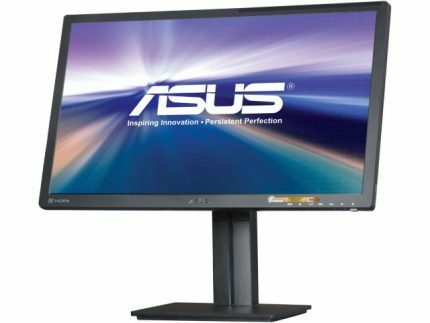 The ASUS monitor has four times the pixel resolution and is a 2560 x 1440 WQHD-wide quad high definition. That means it delivers amazing quality and definition to everything you can imagine using the monitor for such as video games and media. In addition, the PLS panel is great so anyone can watch the screen from different areas without affecting the clarity and HD quality in general. It is perfect for non-standard viewing angles. The 178-degree viewing angle is ultra wide and a super selling point for this product. Not all monitors can combine HD rank with PLS panel for such an attractive combination. Note that the panel has been switched since 2014 over to an AU Optronics AHVA panel, which is also an IPS-typer panel type. This product offers great connectivity. It comes with DisplayPort 1. and Dual-link DVI ports which are all you will need. It tilts, rotates, elevates and swivels so you can adjust the monitor according to the height needed or angle needed. The monitor itself is 15″H by 25″W. The lowest point which adjustment is 17 inches tall and the highest point is 22 inches tall. Plus, you as the owner have the option to make adjustments according to color and contrast. The ASUS Smart Contrast Ratio adjusts between black and white for brighter and sharper visuals. Reviews have been written about this product from gamers to photographers to everyone in between, giving summaries of their experience with this monitor. Some reviewers mention that it is not factory calibrated so that can take a bit of time but luckily most customers know how to calibrate the monitor or at least have easy access to guides to do so themselves. They also mention that the actual monitor itself does not have the most attractive design but that does not take priority over functionality and quality so it is not really an issue with anyone, especially serious gamers. They say it is perfect for gaming, great for reading text and incredible for other medias. They find the graphics exceptional which is very important as well as the color reproduction. They mention no defective pixel and a fast response time. One of the best features for Amazon reviewers is the ability to swivel the monitor and adjust the height as well as the PLS/AHVA monitor (IPS type panels both) which is great for many users. Overall, they value the quality or color and graphics and then secondly appreciate the settings and options. They say it is a good value item. 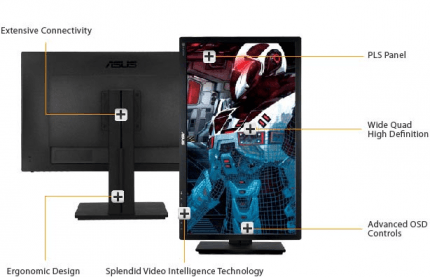 It is time for visuals to come to life when you look at your brand new ASUS monitor. 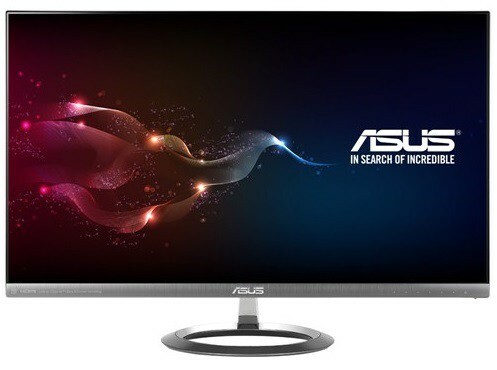 The 100% sRGB and 178° wide-viewing angle are features that can’t be beaten and that is why we recommend this product if you are searching for an LED monitor with these top features. The Amazon reviews are great and customers rave about the quality. This product has a lot of connectivity options such as the dual-link DVI and DisplayPor 1.2 which is great to keep in mind when shopping for a new monitor. Plus it comes with two built-in 3W speakers for great audio for a movie theater-like quality when watching videos and films. As you can see, it is a recommended product for different types of shoppers so it is a one-size fits all type of product that will be sure to leave you satisfied and just loving your new purchase. The ASUS PB278Q is a well-built all-purpose monitor that offers an amazing PLS panel or AHVA panel, which are both IPS-type panels that offer superb color quality. Furthermore, the 27-inch display offers a WQHD resolution, which is a must-have if you haven’t tried it yet.